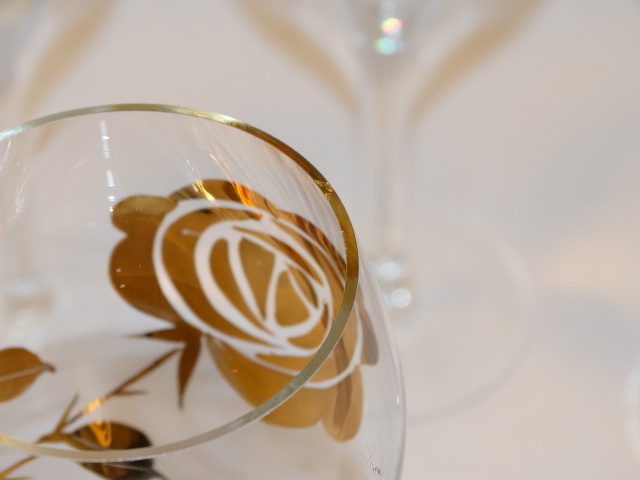 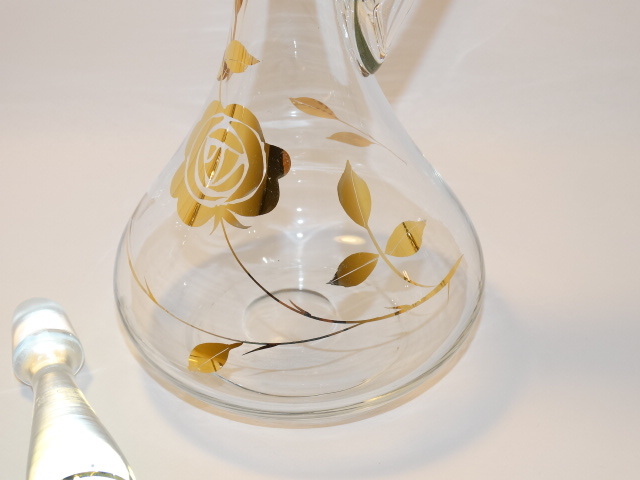 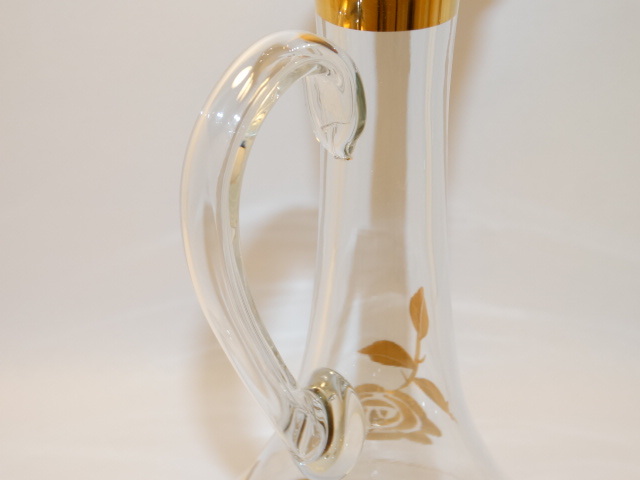 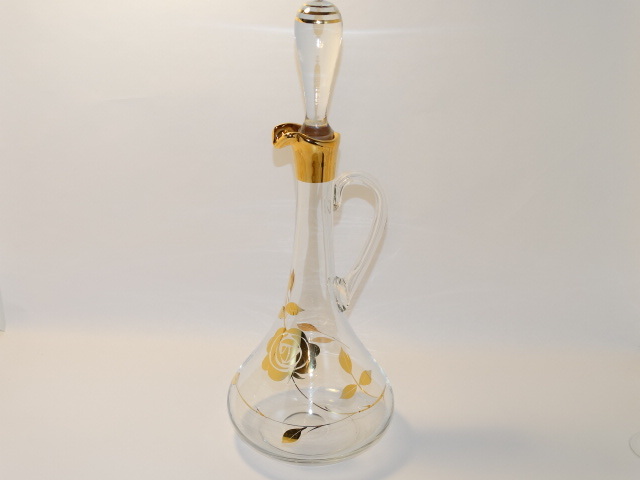 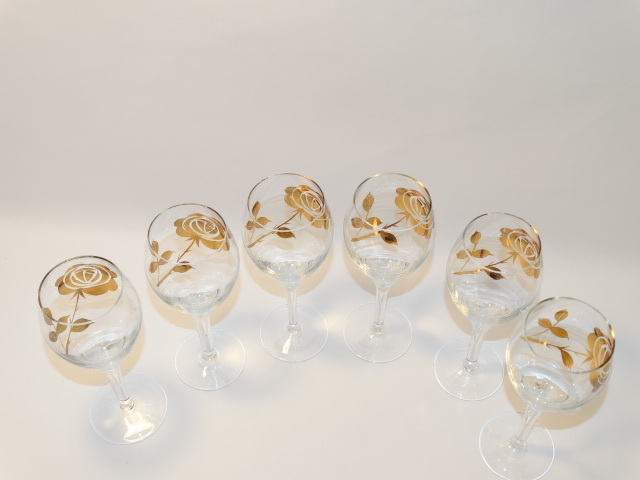 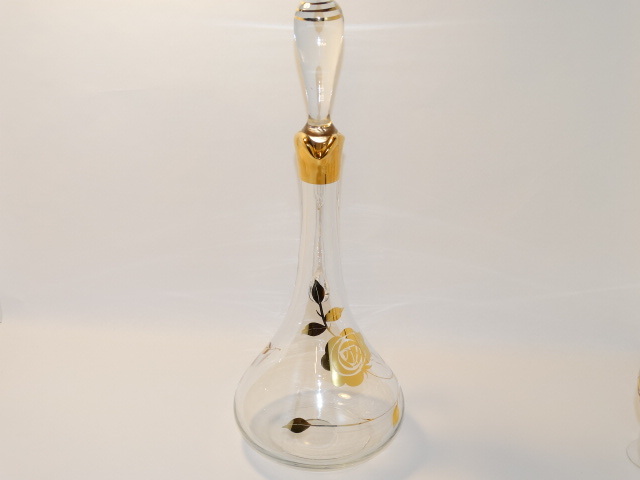 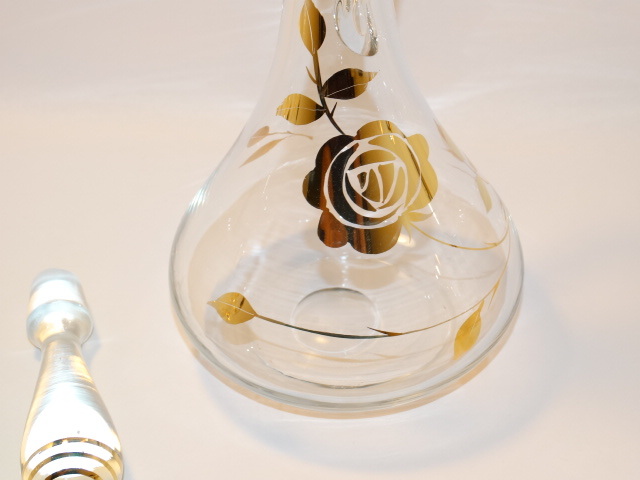 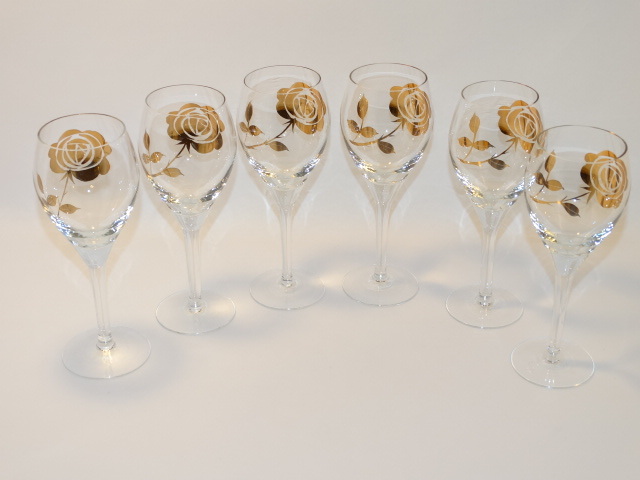 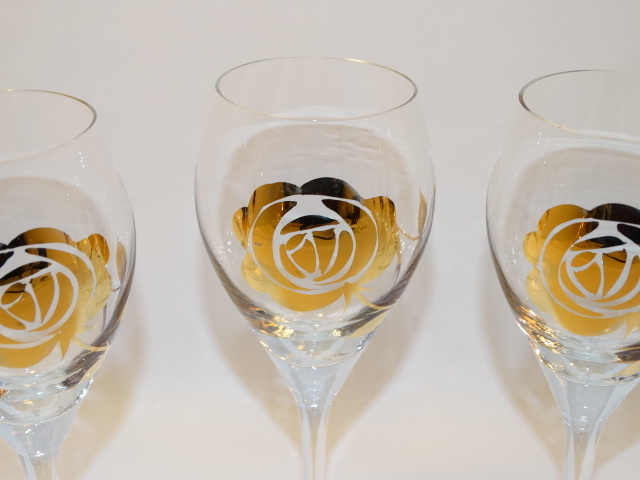 Crystal Decanter, Glasses Set with Gold Roses. 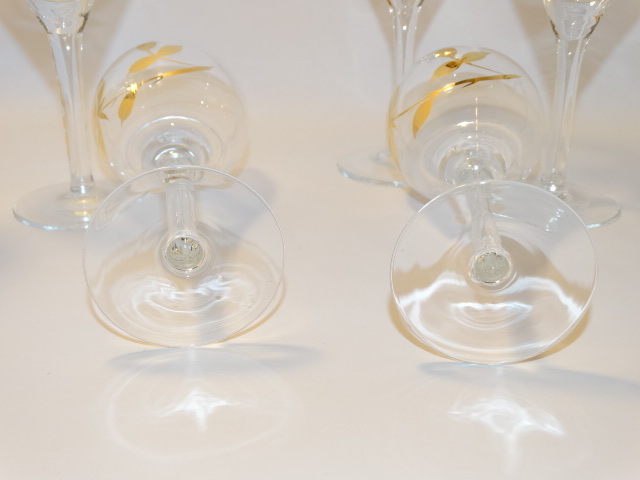 Beautiful, clear and sparkly. 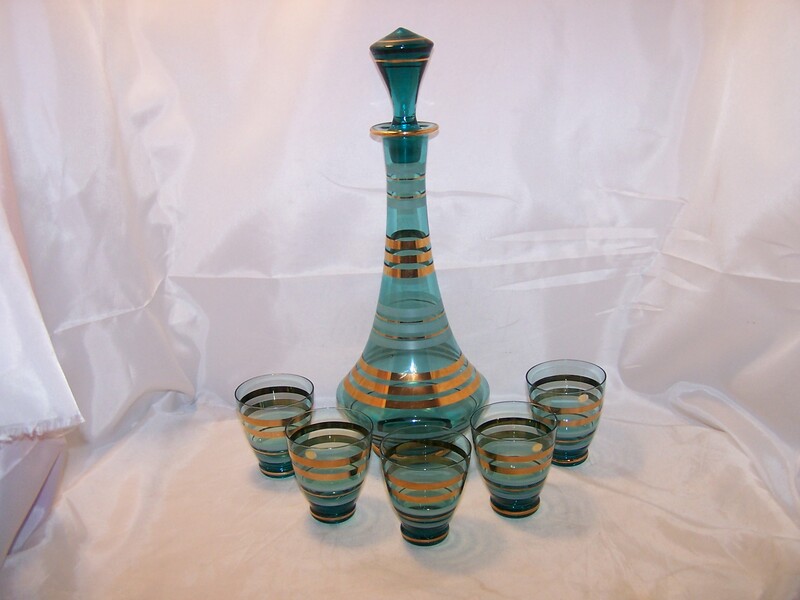 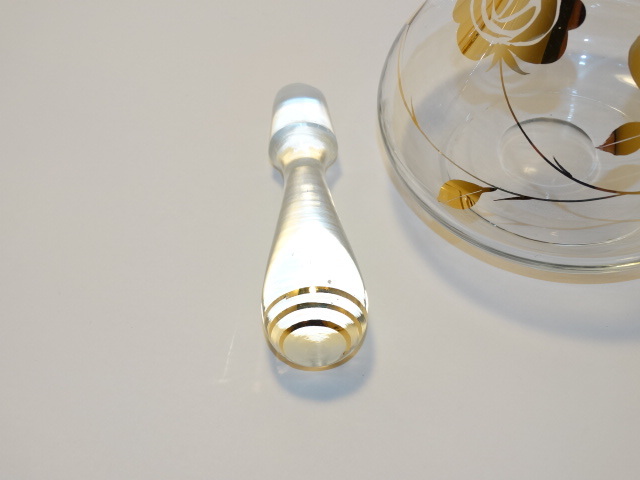 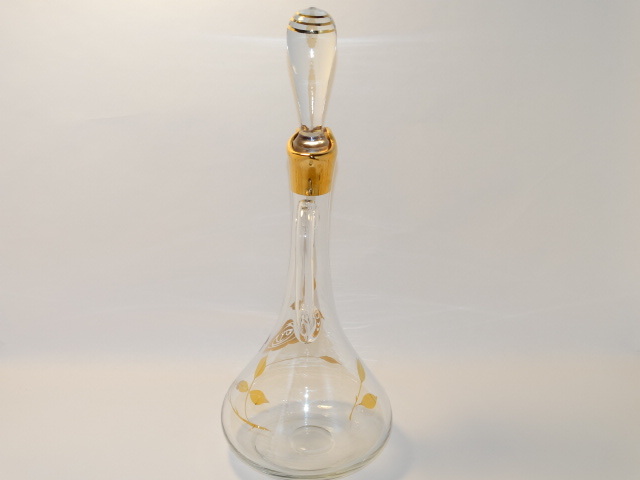 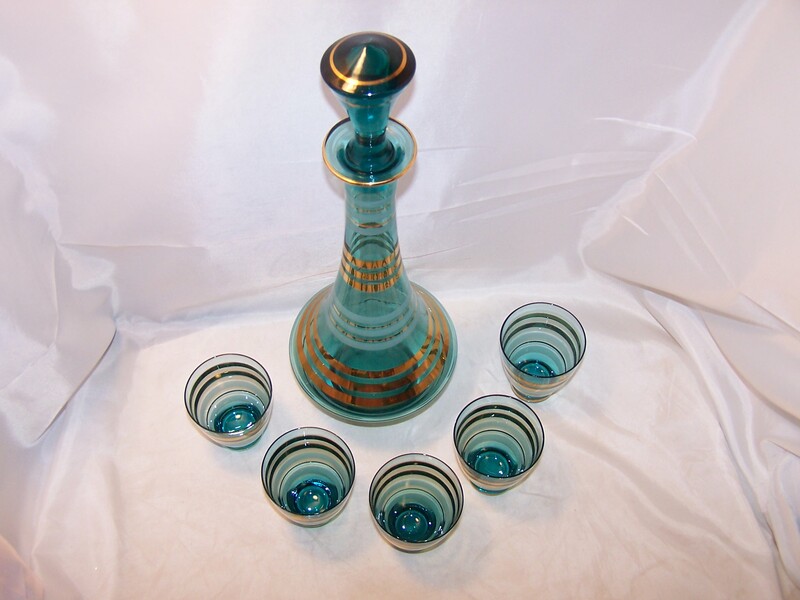 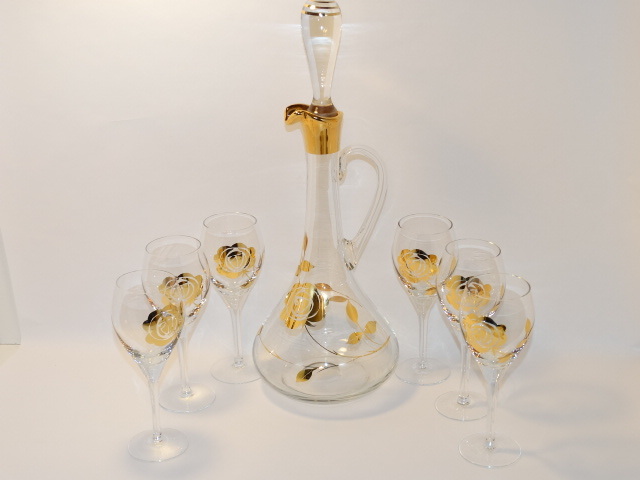 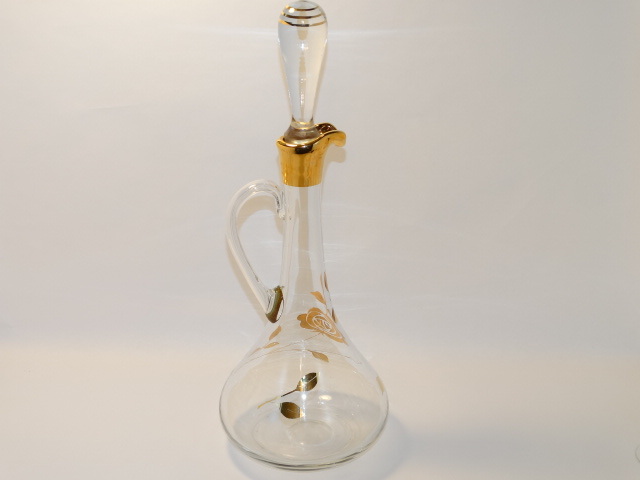 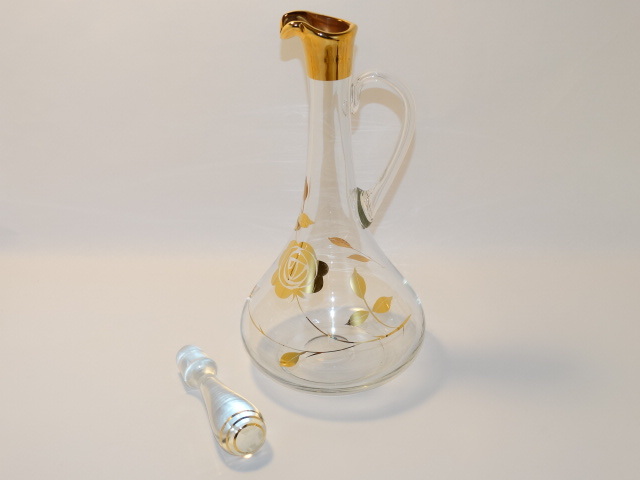 Set includes decanter with large stopper and six stemmed glasses.